The defence minister said that the problems being faced by the 5 per cent will be resolved in the next two months. PANAJI: Defence Minister Manohar Parrikar today said 95 per cent of retired defence personnel have benefited from the implementation of the One Rank, One Pension (OROP) scheme and problems being faced by the remaining 5 per per cent will be resolved in the next two months. The comments by Parrikar came against the backdrop of a row over suicide by an ex-serviceman from Haryana over the OROP issue and amid the ongoing war of words between ruling BJP and Opposition parties, including Congress. "More than 95 per cent people (ex-servicemen) are benefiting from (enhanced) pension after the implementation of One Rank One Pension. There are only 4-5 per cent who are facing difficulties in getting their pensions (as per OROP). "Most of these are old ex-servicemen, including veterans from 1962 and 1971 wars, whose records are untraceable," Parrikar told reporters here. "Since their records are old, the Pension Department does not have them. The most important record for pension is the years of service put in by veterans. That is not available. These are old pensioners. In many cases, their families are getting the pension," the Minister said. Parrikar said he has given special instructions to officials concerned to get the records within a month and if required, they (beneficiaries) will be asked to file affidavit. Problems being faced by them will be resolved in the next two months, he said, adding there is no discontent among the ex-servicemen over the pension issue. "I have held meetings with the ex-servicemen association which have said they are happy with the (OROP) implementation." 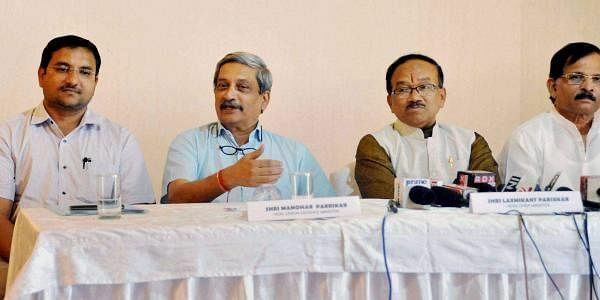 Replying to a question, Parrikar said, "Only those ex-servicemen who have joined politics are now acting like politicians."